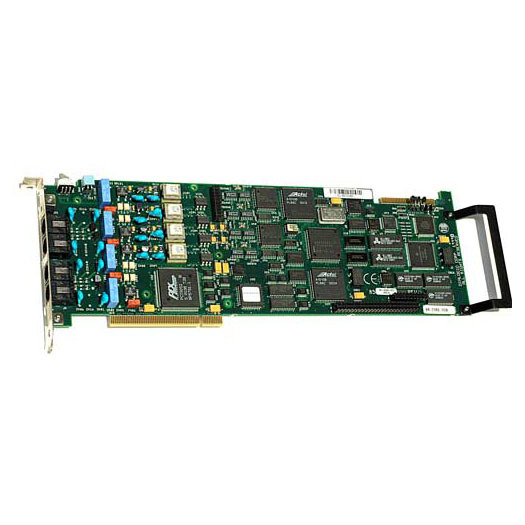 The Dialogic D41EPCI ( D/41EPCI ) computer telephony card is a four port analog voice processing board. D41EPCI provides four telephone line interface circuits for direct connection to analog phone lines, while the CT bus architecture allows for integration with other CT compatible hardware. The D/41EPCI uses the same application programming interface (API) as the D/4PCI ( D4PCI ), so existing Dialogic applications are already compatible. The PV4 software supports multiple line and multiple board recording and playback and expertly analyzes call progress and pulse-dial signals. 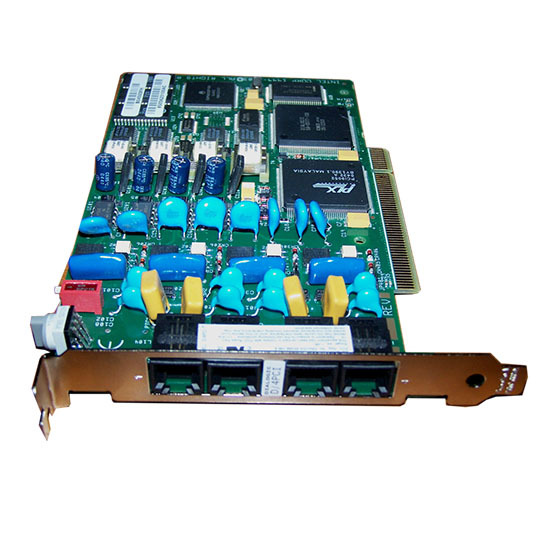 Note: The D/41EPCI card has been replaced by Intel with a newer model, the D/41JCT-LSU card. The D/41EPCI requires an IBM compatible Pentium class computer, PowerVoice voice processing software and Windows XP or 2000 Professional.